to a friend for life.. Welcome to Doodle Country Minis !! Thanks so much for visiting our site!! 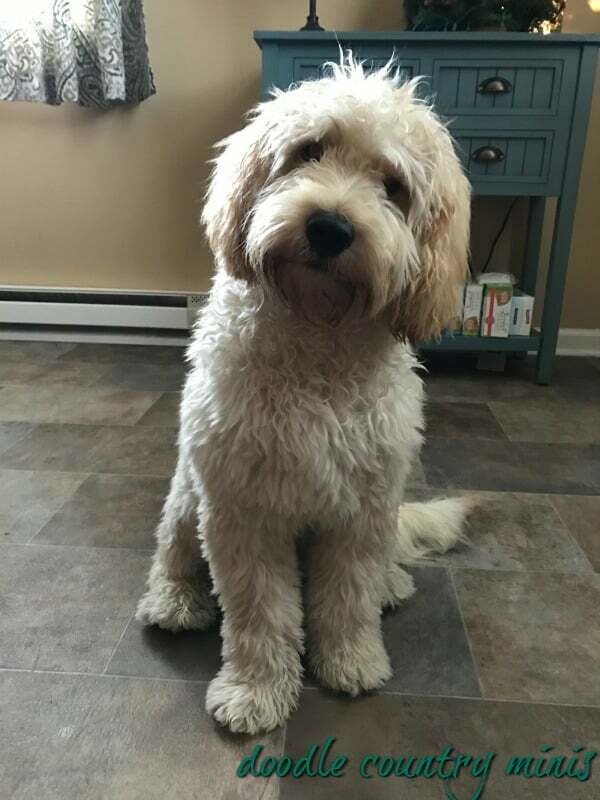 We want to do the best job we can do raising just one breed……After 15 years of raising mini golden doodles, we have learned that the daily personal interaction with our dogs and the puppies, leads to a more well rounded and well adjusted puppy. There’s just no substitute for having the moms and dads living and thriving in our small family settings. The daily contact that we can provide the puppies from the day that they’re born until the day that they go home, is invaluable to their development and helps us so much in helping our new families get the right mini goldendoodle puppy for their lifestyles 🙂 It’s our goal to provide quality, not quantity with our puppies. 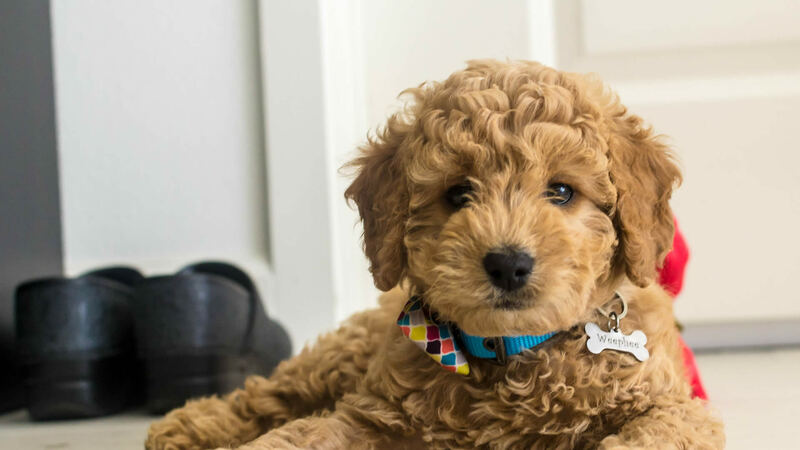 We would love to help your family adopt one of our terrific mini goldendoodles. We want to make this process as much fun as we can….this is an exciting time…As my mom always says….”Making Memories” is what’s important….We want to make this experience a great memory in your life and in your kid’s lives….We want this to be FUN !!!! Most of our puppies are F1 mini doodles but we will also have a few litters of F1b minis and F1b toys each year 🙂 Our F1 mini golden doodle is a puppy from a Golden Retriever mom and a Mini Poodle dad…Being 50% golden retriever, the F1 puppies retain more of the golden’s temperament.. The shedding on our F1 minis is minimal to none… Our F1b mini golden doodle puppy comes from a Standard Doodle mom and a Mini Poodle dad…Our F1b toy golden doodle puppy comes from a Mini Doodle mom and a Mini Poodle dad…Our minis average 25-35 pounds and our toys average 15-20 pounds full grown…The F1b puppies, being 75% poodle, will be curlier so for those with severe allergies, this may be the way to go..
You can visit our photo gallery to see pictures of our past puppies ! There are hundreds and hundreds of pictures in the photo gallery so get comfortable !!! If you’re looking for a girl or boy, smaller or bigger, darker or lighter, more active or less active, curly or wavy…. 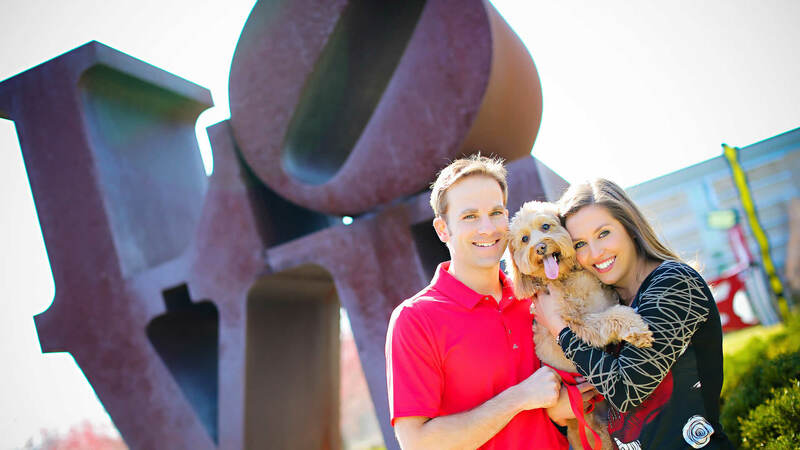 we’ll do our best to help you choose the puppy that best fits your family! email Dennis and Angie anytime !! 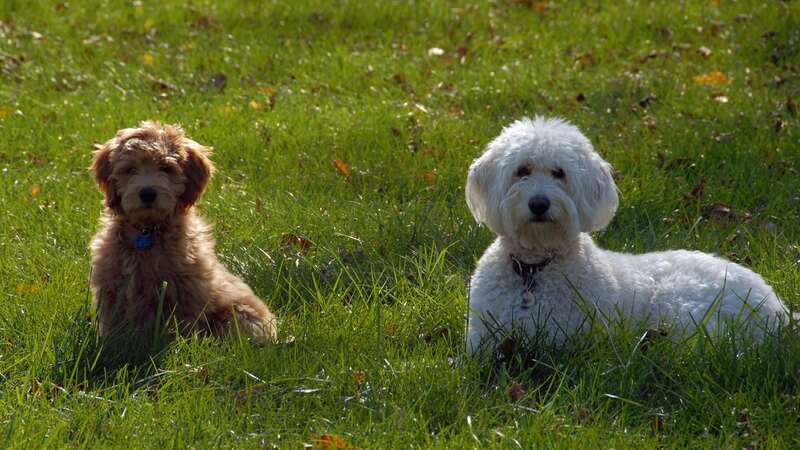 Our ultimate goal as Mini Goldendoodle breeders is to provide healthy, happy, well socialized family pets. Our farms have lots of room to run and a creeks to play in! With our kids, our nieces and nephews and extended families, the puppies get lots of love, playtime and socialization. This allows them to be more well adjusted little puppies when they go to their new homes. We Have Mini Goldendoodle Puppies Available ! 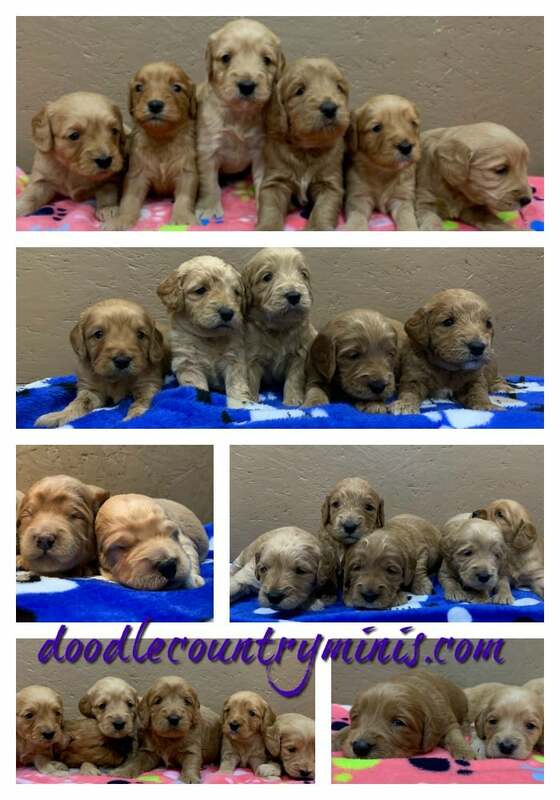 We have puppies at Doodle Country Minis !!! We have puppies!! Our late spring and summer puppies are just starting to arrive !! I’m posting pictures in the photo gallery as those are born so keep checking the photo gallery ! You can still get on the waiting list for one of these litters! The deposits are fully refundable at anytime. We understand all too well that lives change and sometimes getting a puppy needs to wait. So if you don’t get a puppy, it won’t cost you any money. Your deposit is just to hold your spot in line. As I mentioned above, as soon as our puppies are born, we post pictures on the site… Just click on the “Photo Gallery” link to see the adorable Goldendoodles !!! Once the pictures are on the site, I start calling all of the families on the waiting list ! When I get to your name on the list, I’ll let you know which picking spots are still available….You can opt to take that spot or wait on another litter. Once you reserve a picking spot on one of our litters you can watch the puppies grow thru the pictures that we put on the site every Sunday! You’ll become addicted to our site especially on Sundays ! When the puppies are ready to go home, we have Puppy Pick Day!!! The families come in, one at at time according to their picking spot… You’ll be able to play with the puppies and choose the one you think best fits your family. We do temperament testing on all of the puppies so we can for sure help you in your decision… Should you come and not fall in love with any of the puppies, you can opt to pass to another litter or you can get your deposit back. You’re never ever forced to take a puppy home that you don’t think is perfect !! 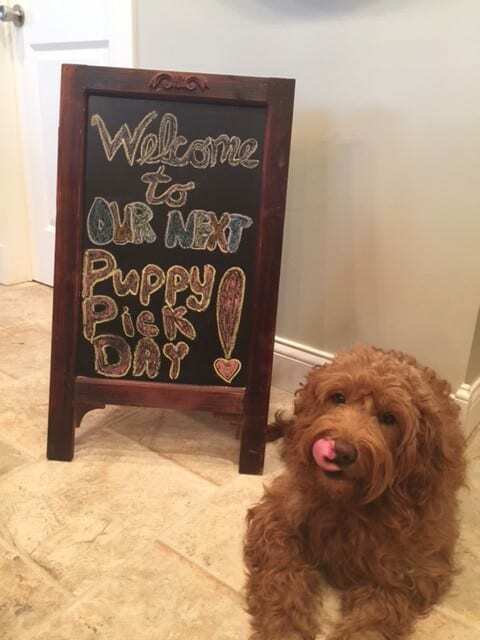 For the families that live too far away and want their puppy shipped, we will call and FaceTime with them so that they can “meet the puppies” during their picking time on Puppy Pick day…We can then fly their puppy home or they can use our delivery service!! We can meet you half way or drive to your doorstep. We have lots of families members that love to help us out with these road trips. Again, the deposit is $300 and it’s TOTALLY refundable should you change your mind about getting one of our mini goldendoodles. We’ll never keep your money if you don’t get a puppy. Our puppies come with a 2 year health guarantee against genetic issues. Should something arise in those 2 years, we will cover the cost of treatment up to the cost of the puppy. There’s of course always the option of getting another mini doodle instead. If that’s your desire, we would never ask for your original puppy back. 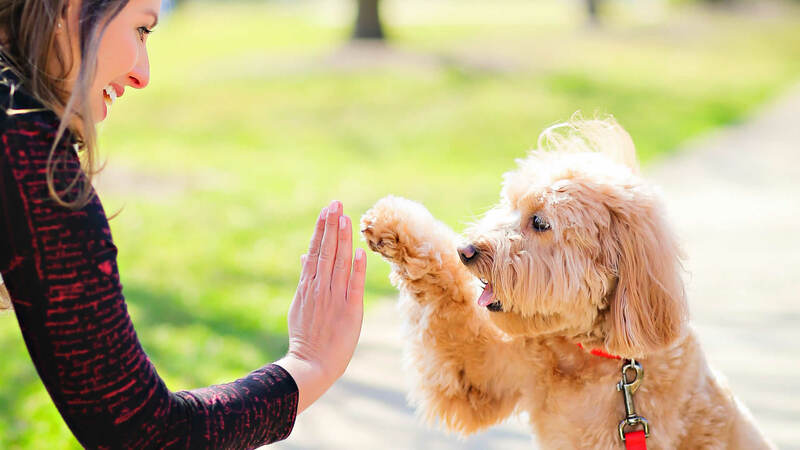 We know that parting with a family member would be impossible… All this said, our mini golden doodles have been so incredibly healthy. Our vet is a HUGE fan of mini doodles. You can follow the happenings of Doodle Country Minis on Facebook, Twitter and Instagram …. I post fun and exciting things….like oh, vet trips, breeding trips, airport runs…..but then REALLY fun things like when puppies are being born !!! You can like our Facebook page where lots of our families are posting great pictures and videos of their puppies in their new homes ! There are links to Instagram, Twitter and Facebook at the top right corner of this page!! We welcome families to come visit our farm to meet us, the parents and of course the puppies 🙂 We love to show off how we raise our puppies and how our moms and dads live here!! And they of course love meeting new people ! Besides that, we know that getting a puppy is a huge deal and getting to see where they come from is very important! Just call, text or email and we’ll set up a time that we’ll be home! Be sure to visit our photo gallery to see hundreds of pictures of our puppies in their new home! You can see the different coats and colors of our puppies and who the parents are of each puppy. Knowing which of our earlier puppies you like helps us to know what you would like your puppy to look like. We’d love to give you all of the details… price, how we do our picks and how you can reserve a great picking spot to get one of these terrific little puppies! If you have any questions about our puppies or about us, don’t hesitate to call, text or email us anytime ! Be sure to like our Facebook page ! There’s a link on the top right of this page ! Puppy Breath Abounds at Doodle Country ! !